We are all painfully aware that our bodies change as we become older, as does our skin, particularly just before, during, and after menopause. Once you enter perimenopause, it is time to change your skincare routine by selecting products that cater to skin concerns associated with these changes such as extreme acne outbreaks and a significant increase in wrinkles. According to Dr. Graf, Clinical and Research Dermatologist and Assistant Clinical Professor of Dermatology at Mount Sinai Medical Center, perimenopause can often last up to four years and begins in most women in their mid-forties. This pre-menopause condition will often result in rosacea, unbalanced skin, hot flashes, and severe acne. As menopause begins, the skin will continue to change. You will likely experience thinner skin, dry skin, a reduction in collagen production, skin sagging, skin sensitivity, wrinkles on the upper lip, crow’s feet, hyperpigmentation, flushing, and a diminished capacity to turnover new skin cells. All of these skin issues can lead to faster aging of the skin and emotional stress. 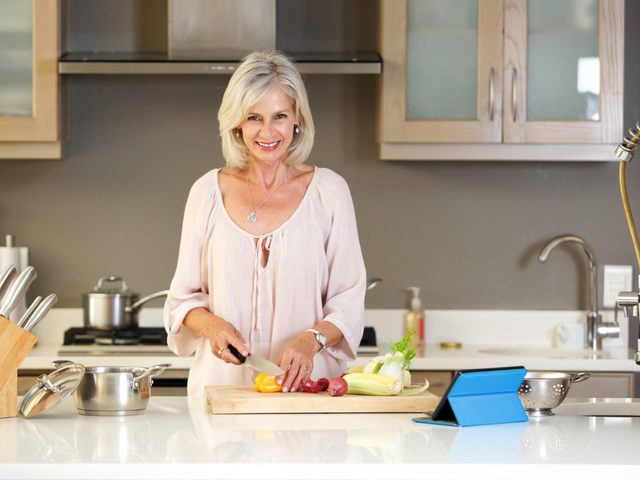 Some ingredients become more critical during the menopause process over others as your body’s chemical composition begins to change. In addition to the importance of water for hydration and exercise to increase blood circulation, you can incorporate many of these ingredients into your updated skincare routine, as well as your daily diet. What are the skin changes you experienced most prevalently during The Change?